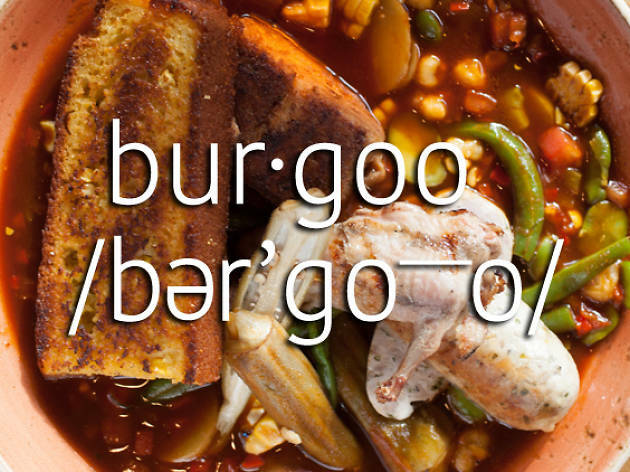 Find regional foods like burgoo and boiled peanuts in Chicago. As with any metropolis, many Chicagoans come from somewhere else. The diversity is what makes our food scene one of the best in the world. But it's not just the international fare being served in Polish restaurants and Pakistani restaurants that delivers the variety of flavor. Chicago has its own hyperlocal specialties, like a hot dog dragged through a garden, the Mother-in-law tamale sandwich, and the mixture of caramel and cheese popcorn. Likewise, there are many weird, wonderful and somewhat pornographic-sounding foods from our Midwestern neighbors, like the Juicy Lucy and Hot Brown. 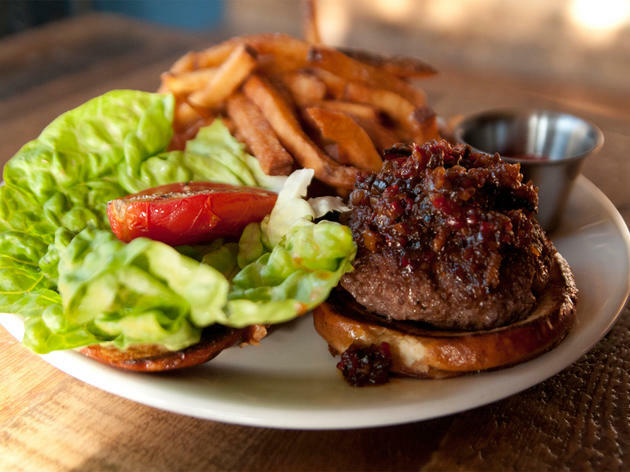 Here's where to find obscure American food locally. 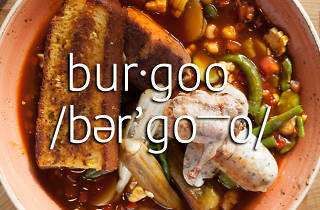 Burgoo stew is a common belly warmer in Kentucky. Originally, the little-bit-of-everything pot was filled with game like venison, squirrel and raccoon. 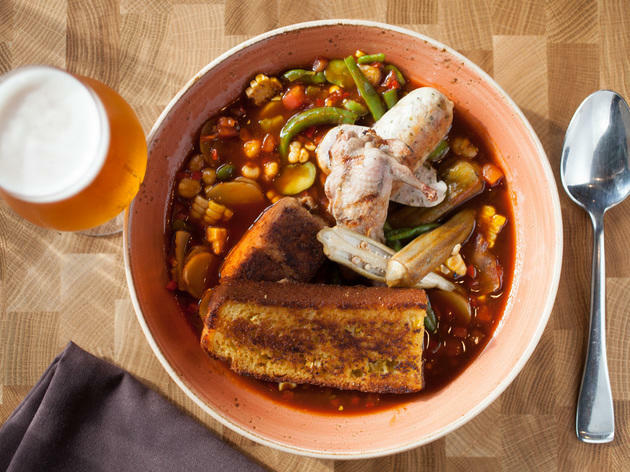 Fret not, the version at the Promontory in Hyde Park is made with more common meats. 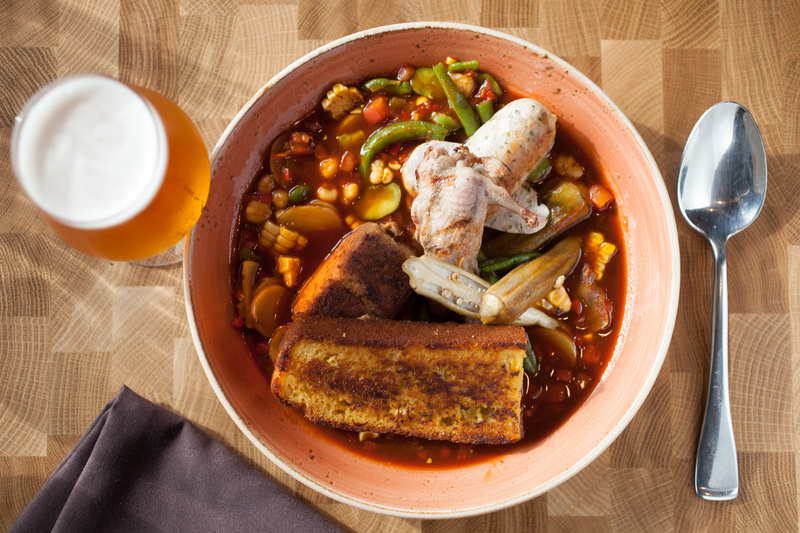 Pork collar, elk sausage, rabbit leg roulade, lima beans, hominy, pickled okra swim in a smoked tomato broth. 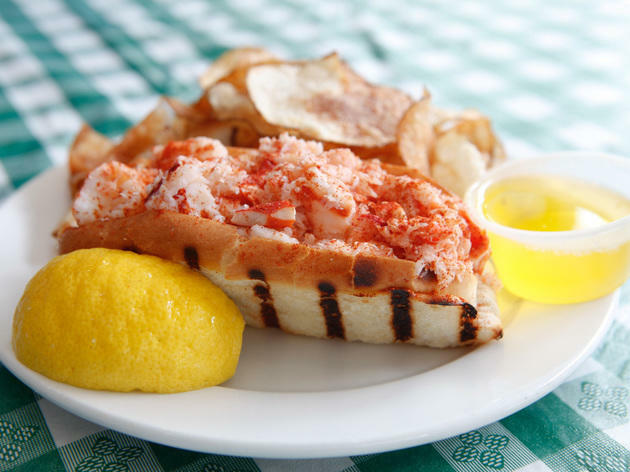 There are two camps when it comes to lobster rolls. In Maine, the meat is cold, dressed with more mayonnaise. 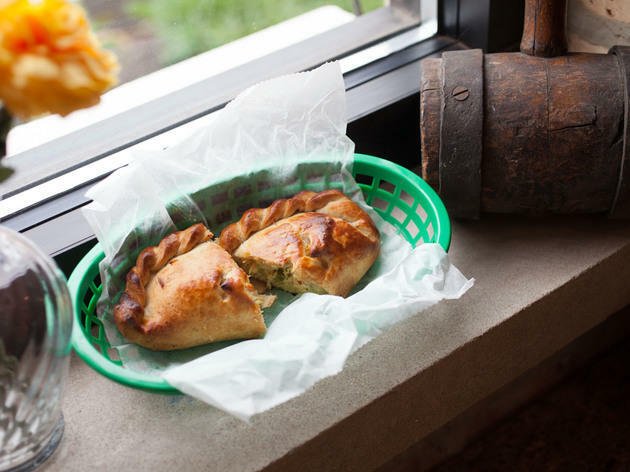 We prefer the Connecticut style, partly because it's warm and buttery in contrast, but also because the genius handheld meal was invented in that state. 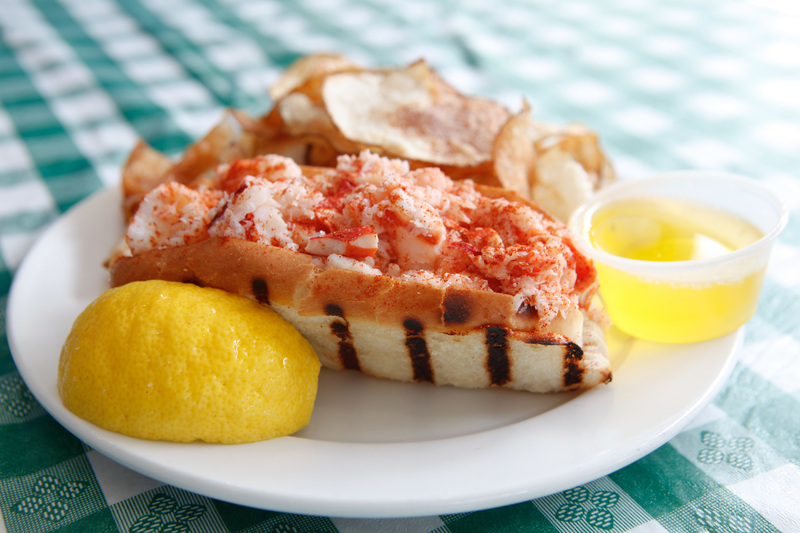 Part fish market, part restaurant, New England Seafood Company serves up the best lobster roll in town. It's simply dressed, with extra butter on the side. Mmm…butter. 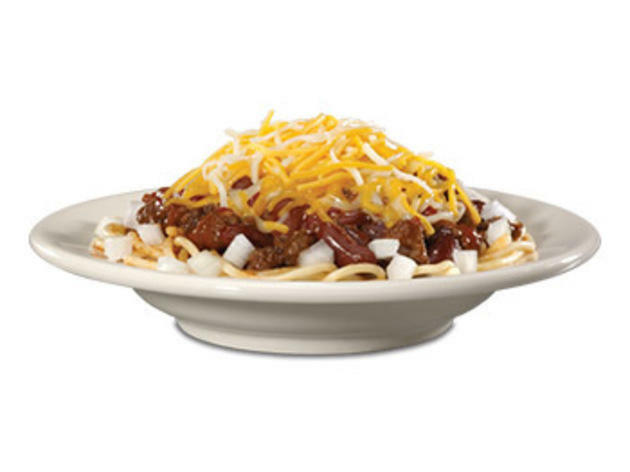 If you've ever had a layover at the Cincinnati airport, there's a fair chance you've succumbed to this spaghetti monstrosity in the food court. A sweeter, smoother chili heaped atop noodles, along with shredded cheese—that's a 3 Way. Add onions and you have a 4 Way; beans make it a 5 Way. Chili Mac's in Lakeview closed a couple of years back, but the Steak 'n Shake in Evanston can hook you up. 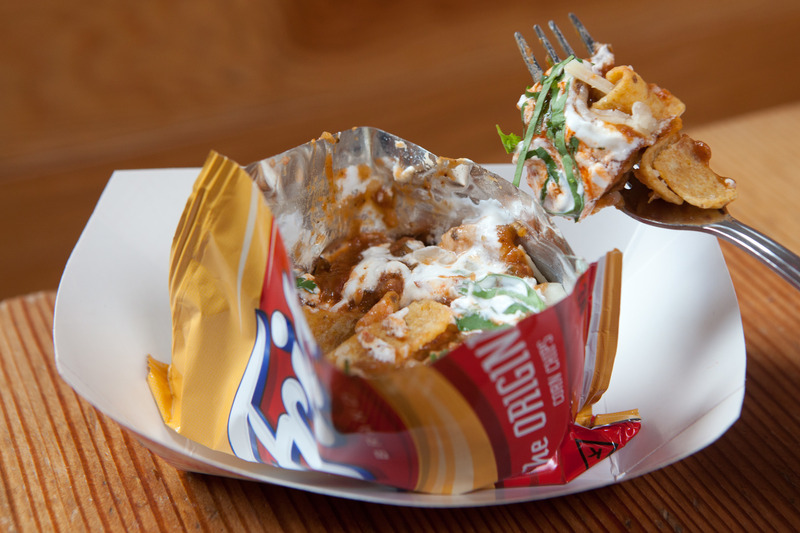 A football-game staple of the Southwest, the Frito Pie has many colorful aliases—the walking taco, the Frito Boat, the Texas Straw Hat, Tostilocos, pepper bellies, taco-in-a-bag. 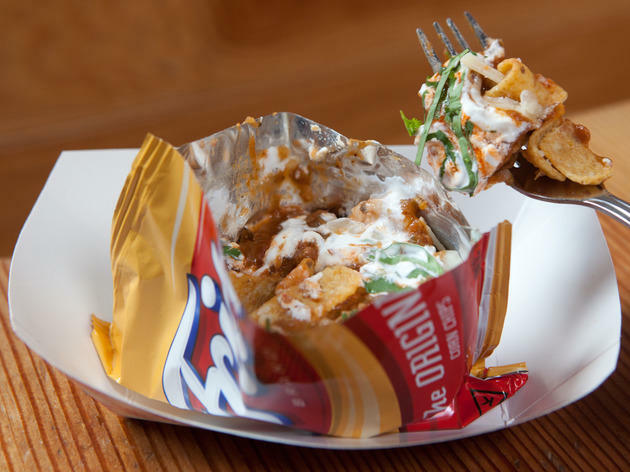 The first and last are the most common terms here for the preparation of chili, cheese, onions, jalapeños and sour cream atop a sliced-open bag of Fritos. Big Star's is a cheap treat, while the brand new Taco in a Bag will serve up several spins on its eponymous fast food in Lincoln Square. Downstate Illinois can feel like a different state, if not country. The farther south you go, the more you encounter strange eats like Red Hots applesauce. 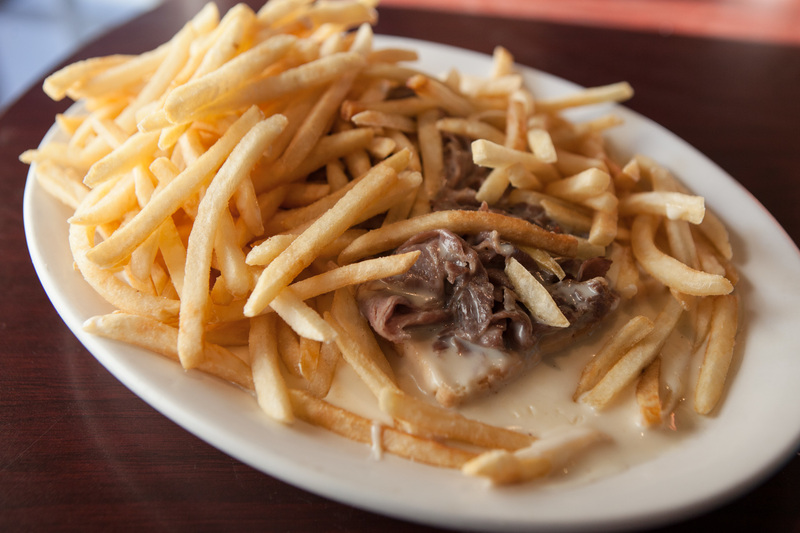 The Horseshoe, an open-face Texas toast burger laden with cheese fries, originated in Springfield, and was supposedly influenced by Welsh rarebit. 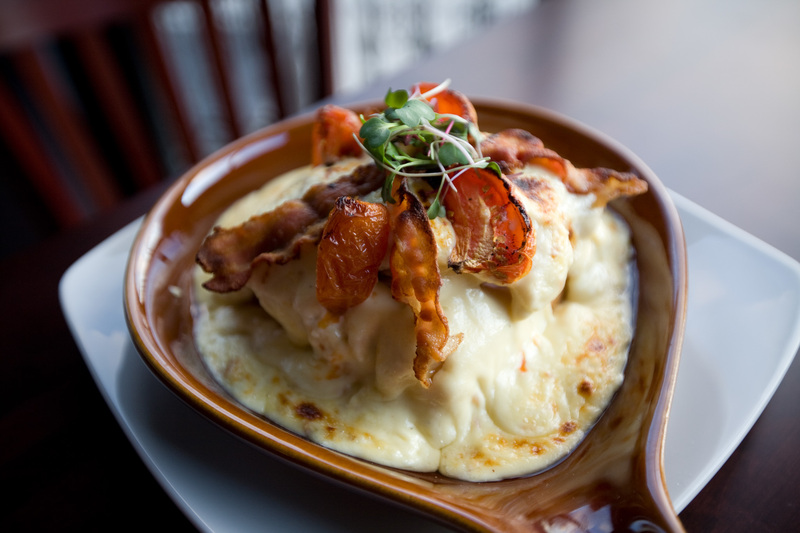 The Hot Brown is as integral to the Kentucky Derby as big, silly hats. 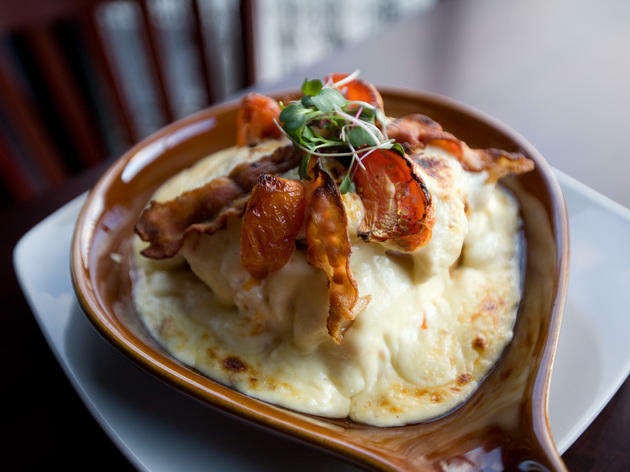 The Louisville staple was born in the Brown Hotel in the 1920s—another dish inspired by Welsh rarebit. Broiled Mornay sauce smothers an open-faced turkey and bacon sandwich. So not as disgusting as the name sounds. Oddly, it never made the six-hour trip north to Chicago, but you can find it, appropriately, at Derby. Henry's Swing Club also serves up a tiny slider version. 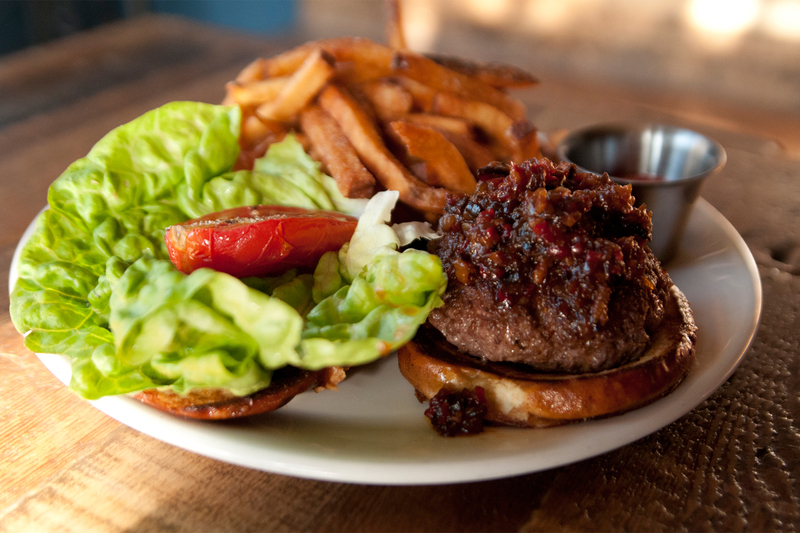 Two bars in Minneapolis claim to have invented this cheese-stuffed burger. Not to stoke a fight among Minnesotans, but we prefer the thicker ones from the 5-8 Club to Matt's Bar. But in Chicago, the argument matters not. 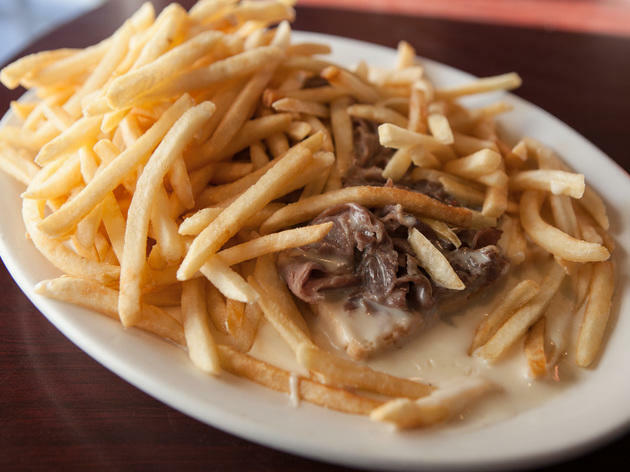 Find the gooey decadence at Dusek's. The deeper you dive into the Deep South, the more strange and delicious things you find done to a pickle—deep-fried, brined in Kool-Aid. 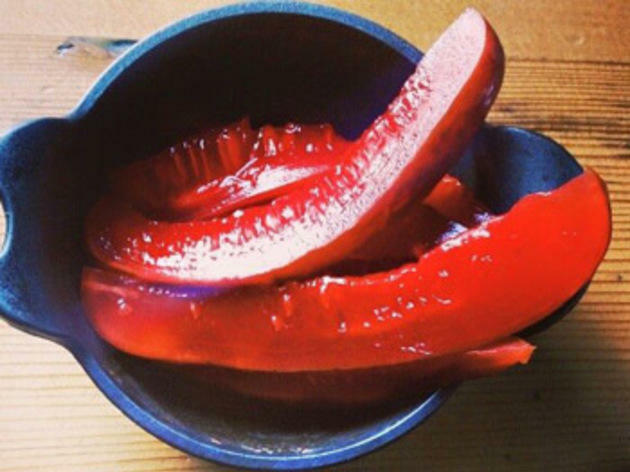 Before you criticize the unnatural glow of these cloying candy-red veggies, remember the science relish Chicagoans dump on their hot dogs. Lillie's Q offers them as an appetizer, along with boiled peanuts seasoned with the spice rub known as Carolina dirt. Though when we called recently, they claimed to be out of peanuts. There’s enough starch and Spam in this casual little Hawaiian café to keep you set through a weeklong power outage, but don’t wait for one to dive into the Big Island classics. There are local favorites like curry-chicken katsu and kälua pork. 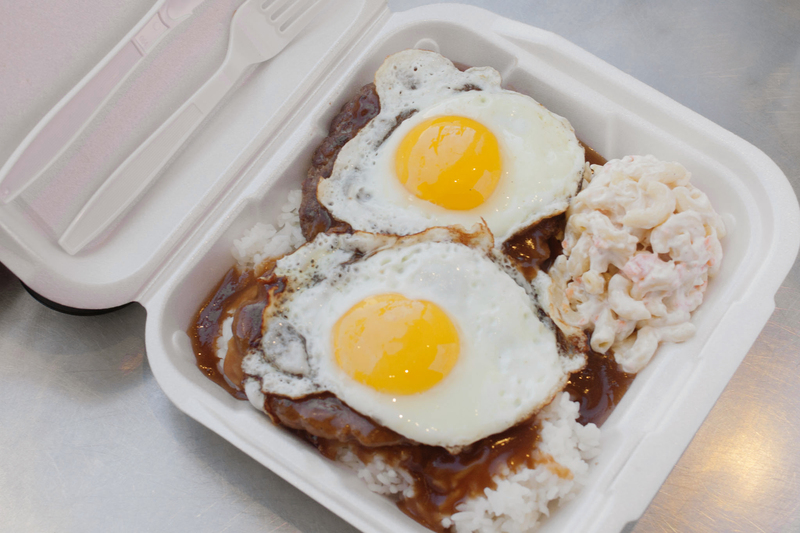 Hawaiians don't mess around when it comes to hangover cures, either. 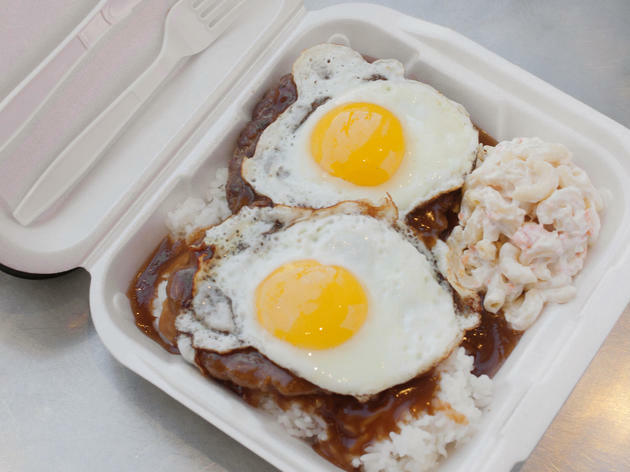 The loco moco, a favorite of the islands, tops white rice with hamburger patties, fried eggs and brown gravy. 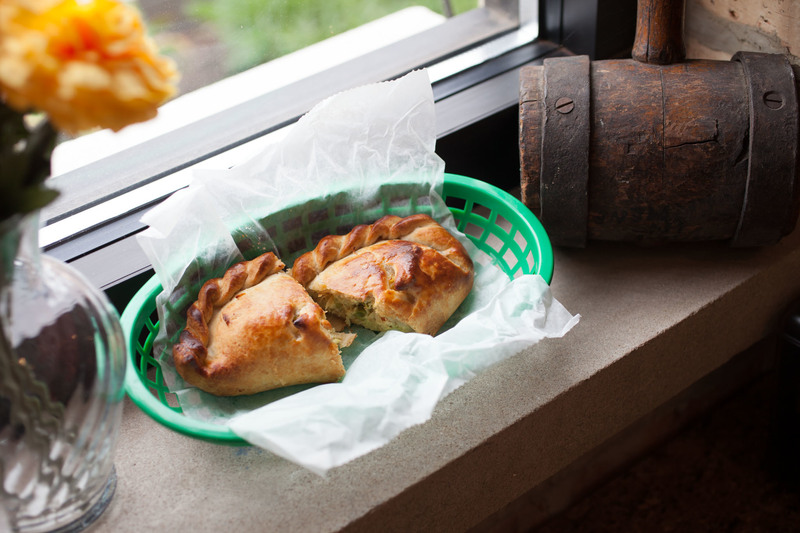 Though largely associated with England, pasties are serious business in Michigan's Upper Pennisula. The hand-held meat treats share a similar history, as they were a favorite of miners. We were at the Roost Carolina Kitchen when a couple wearing North Carolina T-shirts walked in. 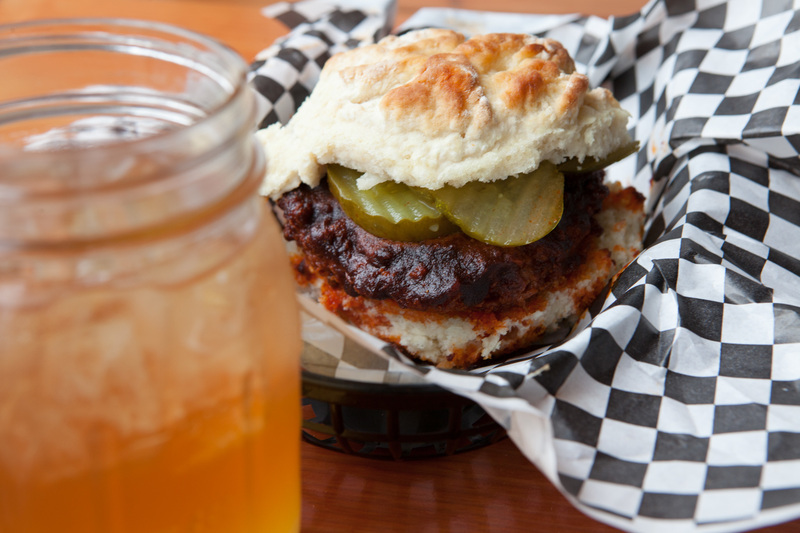 “These are the best biscuits we’ve had outside of the South,” one of them said. We get where they’re coming from. The buttery biscuits come with a plump piece of freshly fried chicken tucked inside. 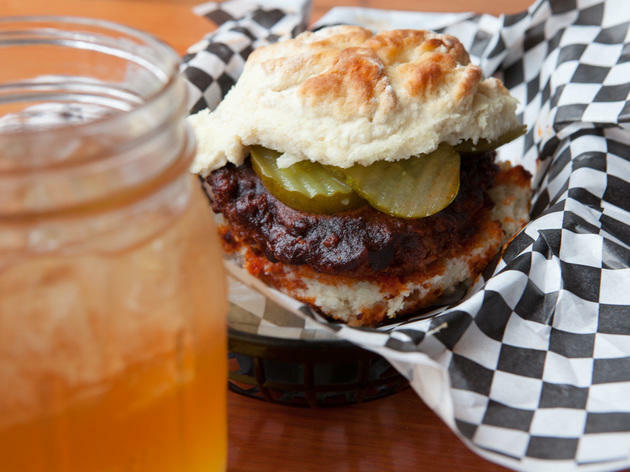 The boneless pieces are fried to order, but opt for Tennessee: The Nashville is fiery and comes with a helping of pickles. Before you get all bent out of shape about the forthcoming description of scrapple, remember that Chicago is the hub of the hot dog. 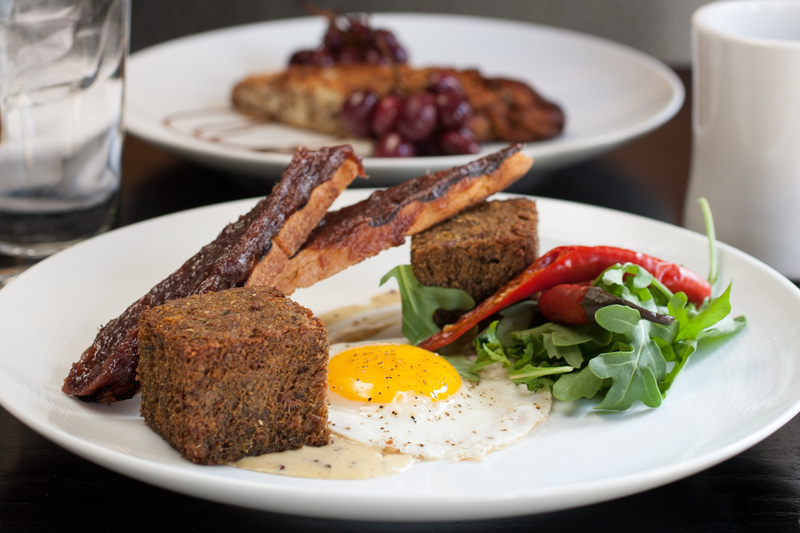 A loaf made of cooked-down pork trimmings and offal, scrapple is sliced, fried up and slapped in sandwiches in the Philly, Jersey and Delaware areas. 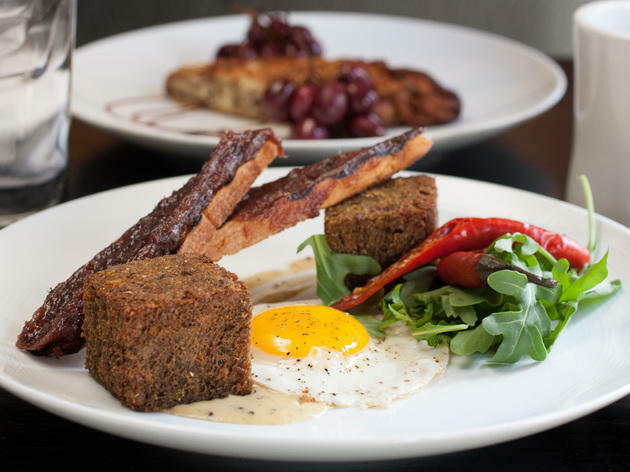 Three Aces will be bringing scrapple di testa (pig head scrapple) back to its menu soon, and it's appeared on the Publican's brunch as well. 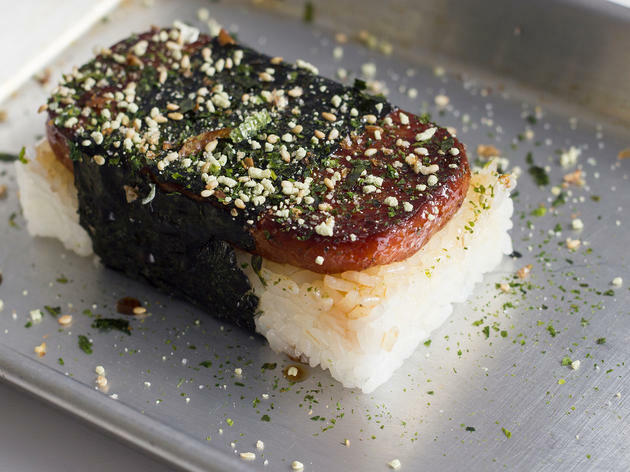 The food at Thank You Take Out is solid across the board, but you can only get the spam musubi after midnight each night. 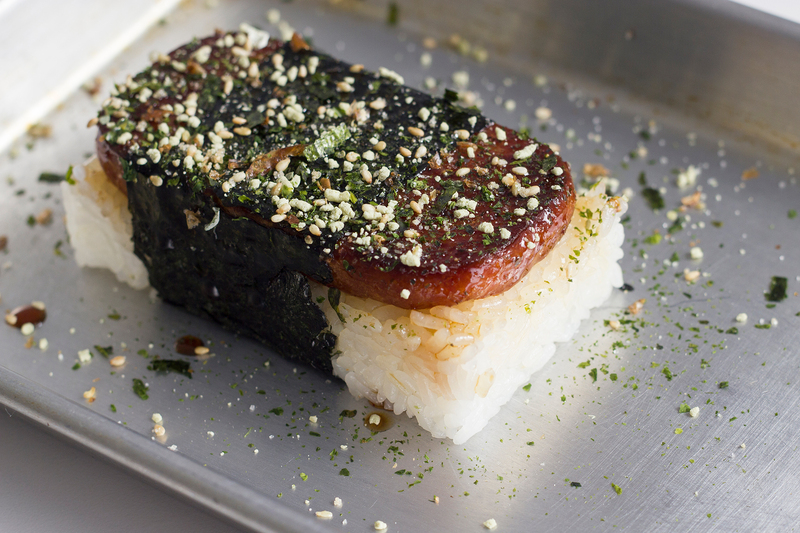 The Hawaiian treat consists of grilled spam atop a block of rice. It's wrapped in seaweed, slicked with teriyaki sauce and sprinkled with furikake, a Japanese condiment with sesame seeds, dried fish flakes and other ingredients. The $3 snack is salty, sweet and precisely what one needs after a couple of potent tiki drinks at Lost Lake. 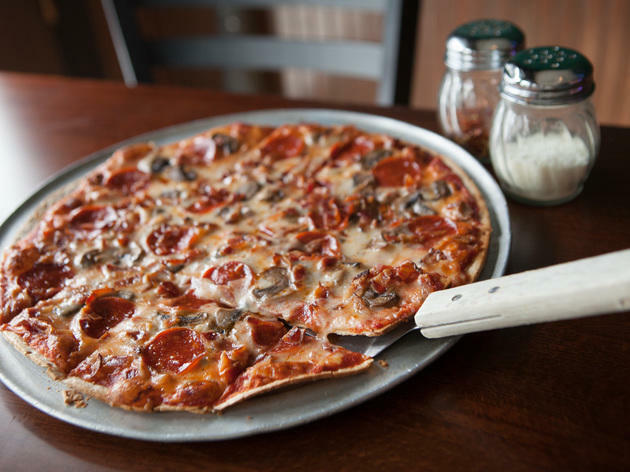 St. Louis's thin pizza is such an odd, acquired taste, it hardly makes it outside the city limits. So what makes it special? 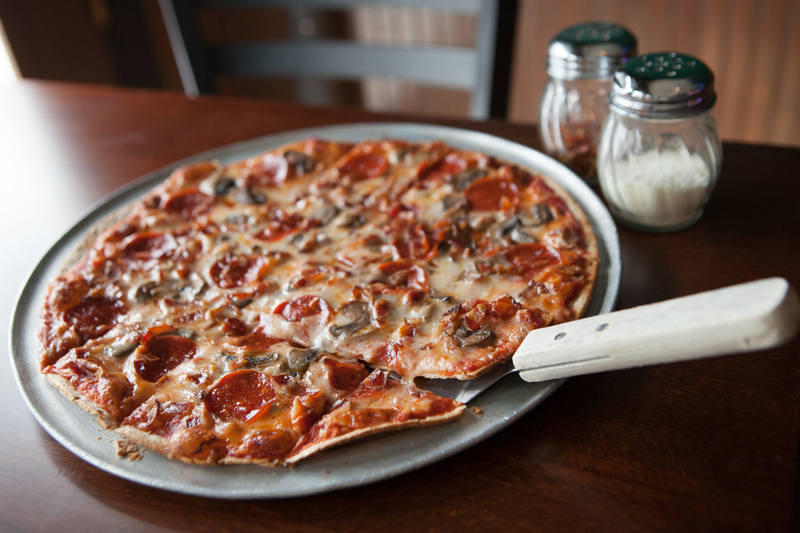 A crispy cracker crust is topped with Provel, a gooey, processed pseudo-Provolone. And it's cut into rectangles. For extra St. Louis cred, see if Sedgwick's, a St. Louis Rams NFL bar, will throw a little Jon Hamm's John Ham on there. 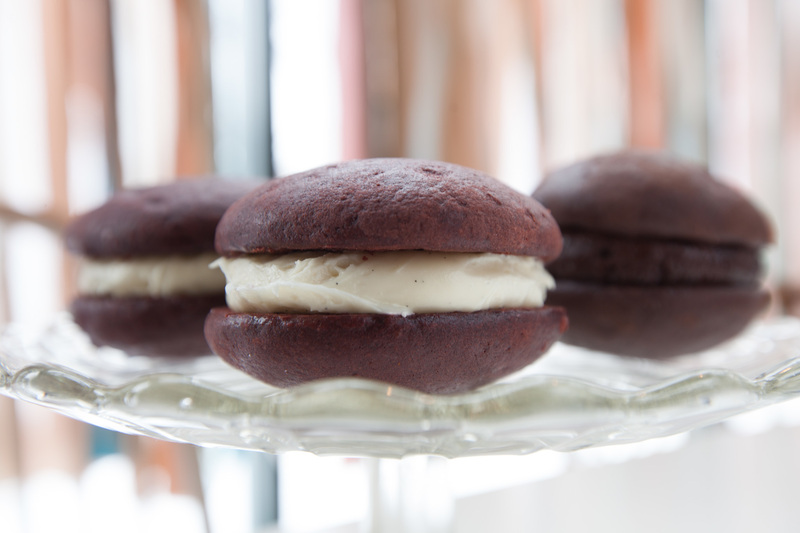 Supposedly created by the Amish, who dubbed them hucklebucks, whoopie pies are the offical state treat of Maine. Thankfully, it's somewhat easy to find them outside of New England. 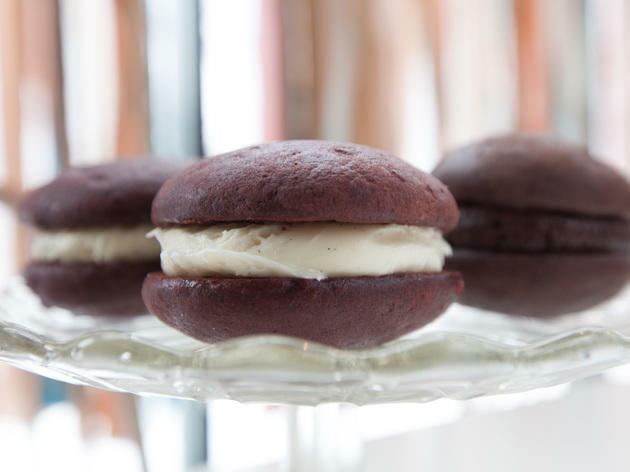 Though we hate to state the expected, we have to admit it: This homey bakery that whips up the whoopies is pretty damn lovely. You might never eat an Oreo again.